Advanced Home Care takes great pride in our commitment to the health and wellness of our employees and their family members. Through our wellness initiatives, we hope to make positive and beneficial impacts on the lives of our staff. We are excited to announce that this commitment to employees through the promotion of health and wellness has been recognized by the communities we serve. 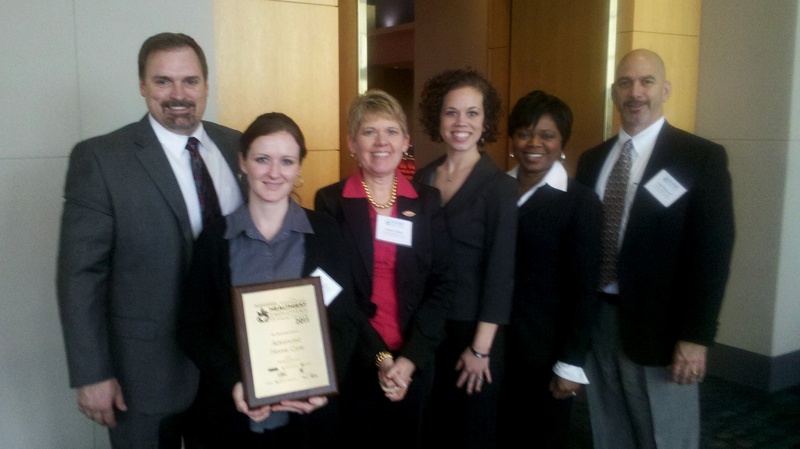 On March, 31, 2011, Advanced Home Care was honored at an award ceremony, hosted by the Charlotte Business Journal, as one of the Healthiest Employers in Charlotte for 2011. Advanced Home Care was recognized, along with 36 other companies, at the 2011 Wellness Expo and Healthiest Employers Awards Luncheon. The competition consisted of a survey that assessed the various health and wellness efforts of participating organizations and the wellness-related benefits offered to their employees. Reviewed by Healthiest Employers, LLC and professionals in the academic, medical and business communities, the companies were ranked in 4 different categories, based on size (small, medium, large and extra large). Advanced Home Care made the Top 10 list of Healthiest Employers in Charlotte within the extra large business category (more than 1,000 employees). For a listing of the companies that were honored, access the full story on the Charlotte Business Journal‘s website.